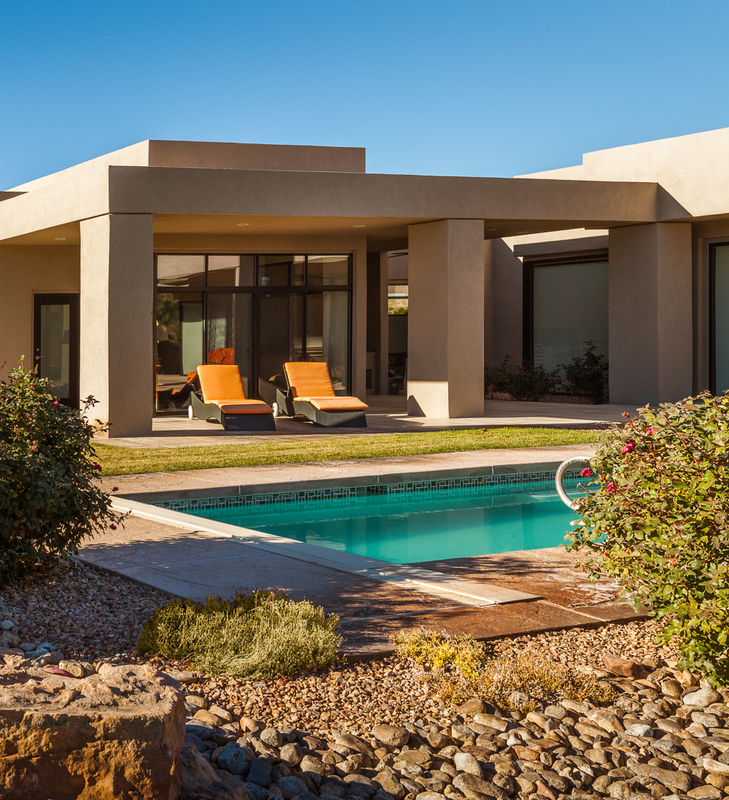 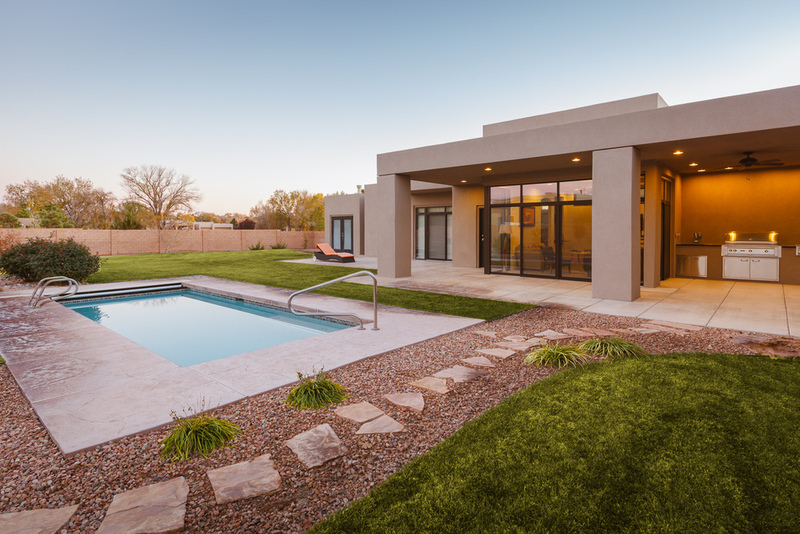 Jack Anderson of JC Anderson Construction completed this contemporary addition in the Black Farms neighborhood of west Albuquerque. 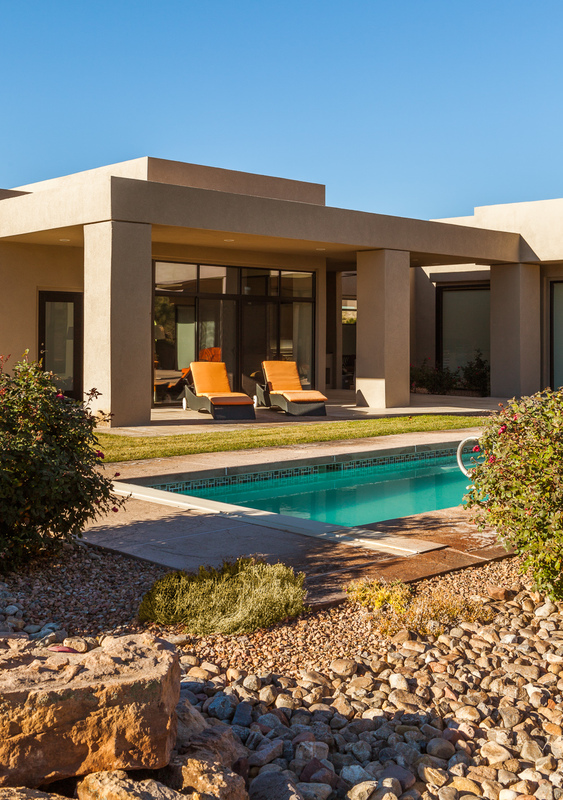 I dropped by at sunrise, then again at sunset to capture it's finely sculpted orthogonal lines in the high-desert light. 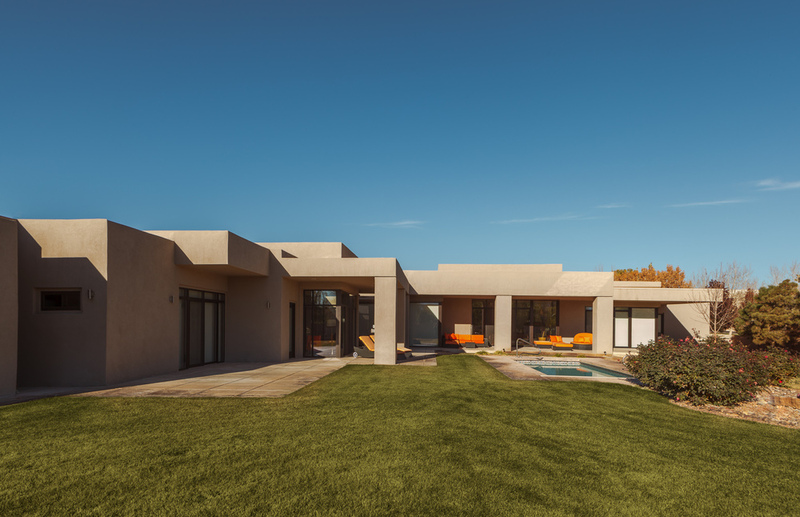 Jack also built the Tijeras Canyon residence.